If you’re a Christian looking to learn about the Hebraic roots of our faith, this is an excellent place to start. Not sure what the Jewish feasts mean for Christians? This book can tell you exactly how Jesus fulfills the meanings behind all the old feasts and even how to celebrate them with a Christian understanding if you’re interested. I really enjoyed this book. One of my favorite passages was the discussion on the haverot and haverim (essentially, “Study Buddies”) for the Bible. I really love the idea of Christians coming together and celebrating their differences and having passionate discussions about Our Lord and our faith. This book was a great eye-opener on some of Jesus’ more popular parables and their hidden, inner meanings (from the Jewish perspective). The only reason I give it a 4 out of 5 is that I would have liked to have read testimonies and thoughts from other Believers who tried out the practices in the book. I love hearing reader responses, so it would have been fun to hear from more people who tried out the study action items. 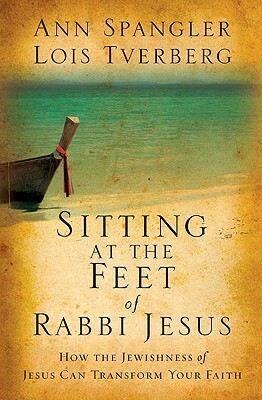 I am very much looking forward to reading the next book in this series, Walking in the Dust of Rabbi Jesus. >> Vialogue Review of the Book — A chapter by chapter breakdown. Very informative. >> Hayesod Review of the Book — A very interesting take on the book.